Thousands of years before the arrival of European trappers and settlers, early Indians of unknown origins roamed the Wind River Country area and left behind stone tools and other evidence of their presence for archaeologists to discover and ponder. Visit Castle Gardens near Riverton and Torrey Basin near Dubois. Thousands of years before the arrival of European trappers and settlers, early Indians of unknown origins roamed the Dubois area and left behind stone tools and other evidence of their presence for archaeologists to discover and ponder. But who they were remains a mystery. The distinctive petroglyphs (rock art) pecked and carved on rocks in the Dinwoody and Torrey basins near Dubois are thought to have been the work of ancestors of the modern-day Shoshone tribes who moved up from the Great Basin around three thousand years ago. Their descendents, the Sheep Eater Indians (Mountain Shoshone), developed a lifestyle perfectly adapted to their rugged mountain homeland that sustained them for hundreds of years. However, the Sheep Eaters’ harmonious way of life ended when the Yellowstone area became a national park. They were rounded up and moved to other reservations. The remains of the Sheep Eaters’ hunting traps and blinds, teepee rings, and vision quest sites are still visible in the mountains around Dubois. Petroglyphs are fragile, non-renewable cultural resources that, once damaged, can never be replaced. 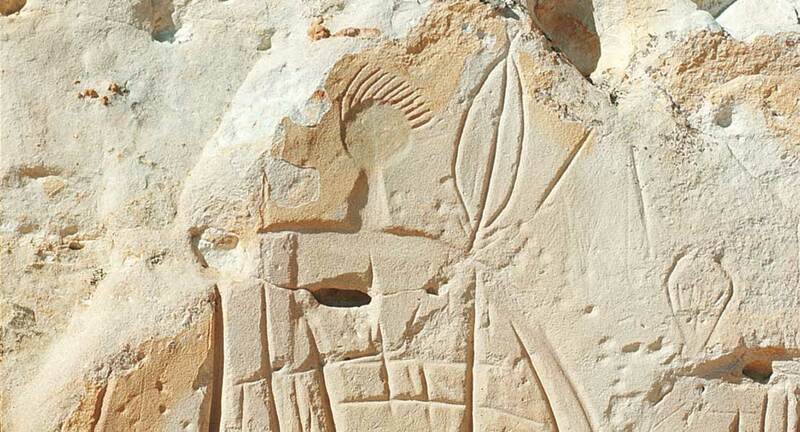 We encourage you to respect the beliefs of the descendants of those who carved the images on the rocks. Avoid touching. Look and observe but do not touch! Please help preserve the petroglyphs by not touching. Even a small amount of the oils from our hands can darken and destroy the carved image. Stay on the trails. For your own safety and the preservation of the petroglyphs, stay on designated trails at all times. Climbing among the rocks can dislodge loose stones causing damage to the petroglyph boulders. Falling rocks can hurt people, or may scratch the carved and pecked images causing unintentional damage. Do not re-arrange the rocks or move/remove artifacts from where you find them. Photography and sketching is allowed. Where dogs are allowed, please keep them on a leash. I always feel a sense of discovery when I see petroglyphs, even when I know my spotting of the drawings etched in rock is far from the first. It’s like a treasure hunt as you scour the landscape in what seems like the middle of nowhere, looking for that legendary treasure. Suddenly it isn’t nowhere, but a place laden with history, with messages left from those who called it home hundreds of years earlier. The history of those who called Wind River Country home thousands of years ago is scattered across the land. 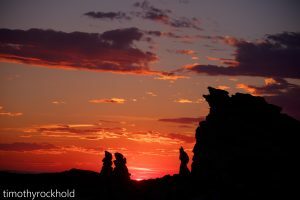 The earliest inhabitants left behind stone tools, tipi rings and rock art. Castle Gardens, outside Riverton, is one of the finest rock art sites in the state and has some of the finest shield art found in the West. The Bureau of Land Management site has picnic facilities and interpretive signs, but be prepared with maps, spare tire, gas, food and water, as it’s off the beaten path, and you might not have cell phone reception. Head south on Highway 789 out of Riverton to Highway 136, also called Gas Hills Road. Turn left and drive 35 miles. Turn left on a dirt road toward Castle Gardens and continue six miles. Turn right at the Castle Gardens sign and drive another five miles to the site. Castle Gardens and its sandstone cliffs appear rising like an oasis on the windswept prairie. Wander the trail and see how many pictures you can spy etched into the sandstone turrets and towers. The most famous style of petroglyphs in the area is known as the Castle Gardens Shield Style, depicting warriors with shields, or just the shields alone. They were etched into the rock walls and then painted with pigment made from local minerals leaving traces of color you can still see today. 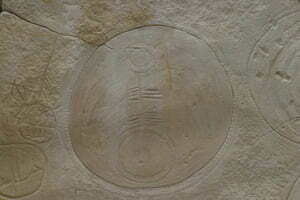 They are believed to date back to 1000 to 1250 AD. Historians believe rock art was used to record events, mark important places and serve as an outlet for creative expression. The fact that no one knows the exact significance of these images makes them even more intriguing. You might not be the first to see them, but you can imagine a history of the art that is all your own. 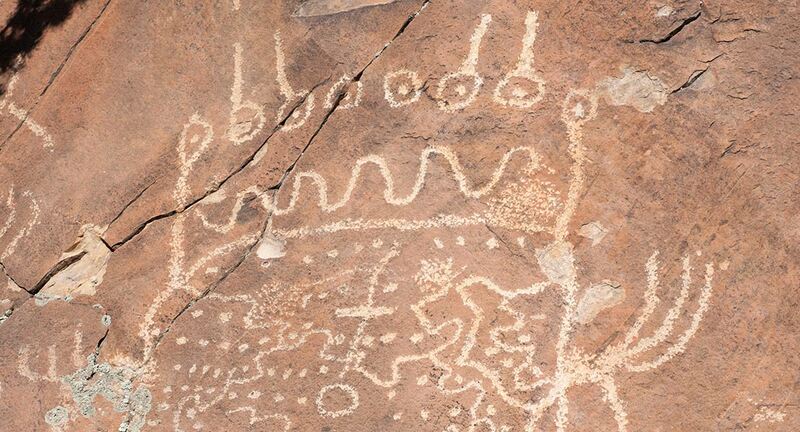 On the other side of Wind River, country near Dubois, is another must-see area of rock art. Petroglyphs believed to be the work of the Sheepeater Indians, who called Wind River country home before the arrival of European trappers and explorers, are situated in the Dinwoody and Torrey basins. Seeing this site takes a little more work, but it’s just as rewarding. Book a tour through the Dubois Museum. The half-day trek will take you to the Torrey Lake Petroglyphs. Treks must be made by reservation in advance and the museum recommends a $50 donation for a half-day trip for a group of up to four people. Expect a moderate hike with some steep climbs while at elevations higher than 8,000 feet. 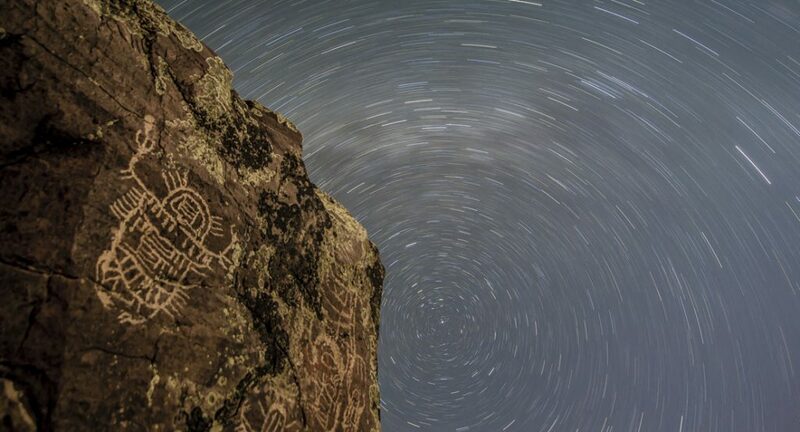 You’ll see ancient images pecked into large boulders scattered throughout the valley. You’ll have plenty of chances to view different types of petroglyphs and learn about theories on their origins from the museum staff member that leads the expedition. You’ll get that sense of discovery that makes archaeological sites special throughout your whole trek as you navigate the landscape and strain your eyes to find another piece of art.